Feels like home! 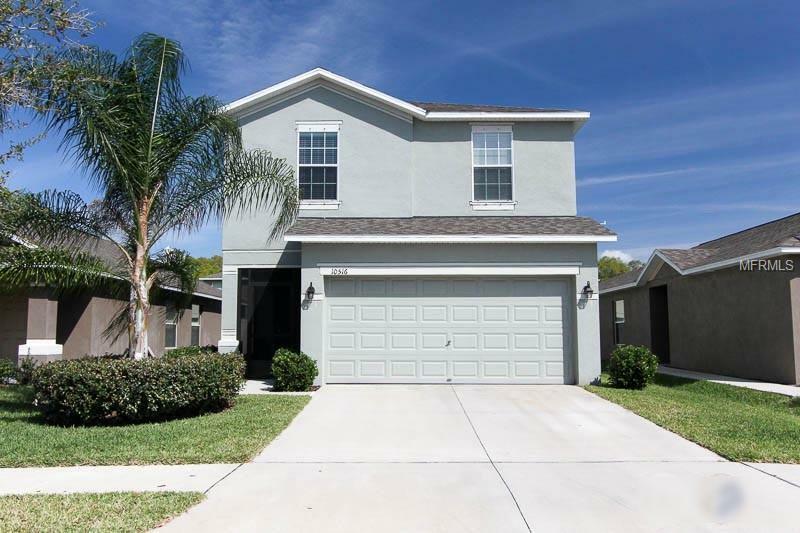 This well-maintained 4 bedroom 2.5 bath home just off of US 301 has all the space you need. 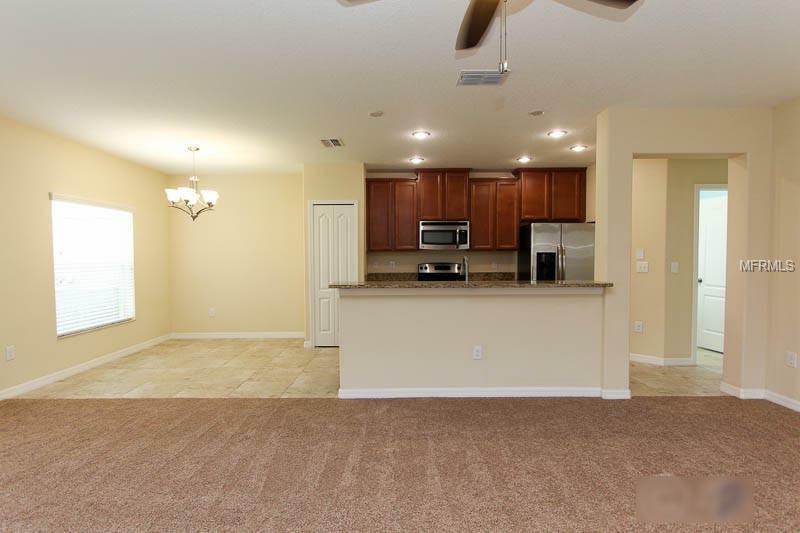 Step into the home to find ample living space and notable upgrades. 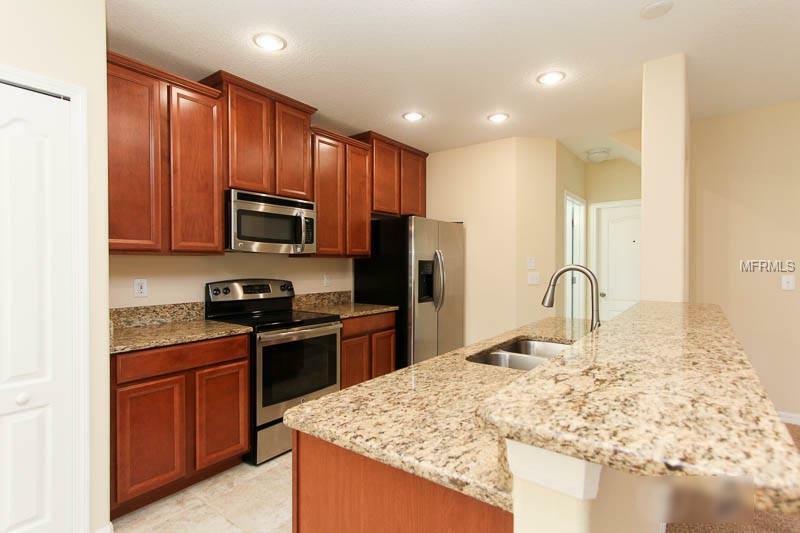 The kitchen, which boasts wood cabinets with crown molding, stainless steel appliances, and granite countertops, overlooks the sizable living room and adjacent dining room. The half bath is quietly tucked away between the kitchen and garage entrance. The living area overlooks the extended lanai, which is the perfect size for entertaining guests outdoors. The screened, covered lanai keeps the outdoor space comfortable, while the partially fenced yard makes the perfect play area for the family and pets. Upstairs you will find four spacious bedrooms. The master suite houses a walk-in closet and en-suite master bath with glass-enclosed shower and granite dual-sink vanity. 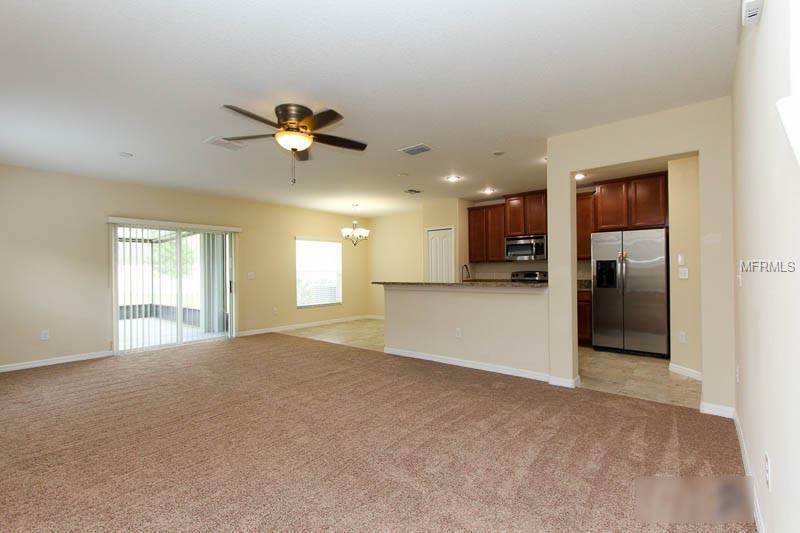 The remaining bedrooms all boast ample closet space, ceiling fans, plush carpeting, and are full of natural light. The second bathroom also boasts granite countertops and upgraded tile. An upstairs laundry room adds convenience to the homes sensible layout. Listing provided courtesy of Eaton Realty,Llc.